Citation: Maziah AM, Saemah R. Parental Involvement: A Strategy that Influences a Child’s Health Related Behaviour. Health Sci J. 2015, 10:1. The sophisticated technological world has immense influence on human life including children, so much so that the daily lives of children are filled with activities such as fiddling with smartphones and surfing the internet. Hence, the current phenomenon about children’s lifestyle has exposed children to risks such as obesity . Lately, world health statistics have shown that child obesity has become a global phenomenon, including Malaysia. We should aware that the issue of obesity must be taken seriously because obese children would become adults who are obese and will be exposed to ailments such as high-blood pressure, diabetes, heart problems and cancer [2,3]. Manios et al.,  found that obese children between the ages of 1 – 5 had a significantly higher risk of being obese when adults. This finding was supported by Hillary et al.,  and Chee et al., , who stated that obese children face the risk of eventually becoming obese adults and this could lead to chronic ailments in the long-term. Among the chronic ailments that are usually associated with obesity are cardiovascular diseases as well as gastrointestinal, endocrinological and orthopaedic complications . Moreover, statistics have shown that 20% of deaths among adults suffering from coronary diseases and arteriosclerosis have a significant relationship with obesity problems when they were children [7,8]. Facts have shown that child obesity occurs due to excessive consumption of food coupled with a lack of exercise . Most children who experience excess body weight do so because of an unhealthy lifestyle, which includes an unbalanced diet and a lack of physical activity. Children like to consume foods high in calories such as fast foods and chocolates . This situation has caused children to be attracted towards “unhealthy” food instead of fruits or vegetables . In addition, exercise and sports is not part of a child’s daily activity anymore e.g. do not walk or cycle to school. The current leisure-time activity among children is mostly spent in front of the television or computer [5,12,13]. The daily lives of children nowadays do not involve much physical activity but rather centres on over-eating while playing video games or watching television . Children also spend less time playing at the children’s playground and spend their leisure time in the evenings playing with their smartphones . The above statement clearly indicates unhealthy lifestyle among children has contributed child obesity. This because the pattern of food intake and physical activity are the two main components which are strongly connected to the growth of children. Literature reviews have stated that for the healthy growth of children would mean a need for a healthy and balanced diet, and a healthy and active physical life. However as parents, they would usually give the child whatever food he or she wants without considering the combined risk of consuming high calorie food and not enough physical activity, which could eventually lead to obesity . Moreover, food is a prerequisite for a child’s growth and development . The question is how could the adults, who are the parents in this case, who do not themselves practice a healthy lifestyle, but expect children to practice the desired healthy lifestyle? Although the involvement of parents in children education is not new, however how could we increase awareness among them to practice healthy lifestyle that indirectly ensuring the children’s health related behaviour? Based on the query, it is evident here that the assimilation of an attractive teaching and learning health concept with the best strategies on involvement of parents should be initiated in order to attract the interest of children and motivate them to be healthy and practice what is taught at school. Thus, this shows that parents need verified health guidelines to ensure that they safeguard children’s health to avoid obesity and it is suggested that children and their parents be exposed to obesity prevention programs. Besides, there are suggestions on the need for the researcher to develop a health education program on the prevention of obesity for children , and also suggestions that program should consider parental involvement. This is because if only children were educated, the awareness would only exist among children . Thus, the involvement of parents is crucial, that they receive the same knowledge as their children, creating awareness among parents so that they practice a healthy lifestyle and later benefiting from this awareness by serving a healthy and balanced diet for their children which indirectly could enhance children’s awareness to practice a more effective healthy lifestyle. The statement is parallel with the results by Harvey-Berino and Rourke  who found that children aged between 9 months to 3 years experienced a slight decrease in weight and energy intake after the diet and exercise program was implemented, with the involvement of parents. This finding supported the study by Golan and Crow , which found that the mean decrease in percentage of excess body weight was greater among children with the involvement of parents compared to those with only a group of children (p<0.05), a significant positive relationship between the frequency of having meals as a family and the pattern of consuming portions of food by children [18,19], and the surroundings during family meal times potentially influenced the consumption of food and the rate of obesity in children . In the meantime, this shows that children from 3-6 years old are individuals who need attention and guidance to overcome obesity. Whereas, the health aspect is the main component that should be assimilated during daily lessons for children aged 3 to 6 years old in order to impart awareness to children about health and obesity. Children are young and experience development, which is a process and mechanism that is in line with physical and mental development . Hence, safeguarding the level of a child’s health is crucial and the responsibility and priority of health workers and parents. The aim is to ensure that children grow up and be active, alert, cheerful and intellectual, which means children grow-up as healthy and successful individuals in the future. Besides that, the assimilation of health education for 3-6 year old children, if successfully implemented, would create the awareness of practicing a healthy lifestyle in their daily lives and further becomes a practice until their adulthood. This paper discussion on exploring the need for parental involvement in developing a health education program that uses a ‘children friendly’ approach and the ability to communicate easily with parents at home through Facebook, the most popular conversation method worldwide. Within this context, the researcher will discern whether the health education program including notes and activities transferred through Facebook to parents fulfilled its aim of creating ‘awareness and active involvement’ i.e. the program was enjoyable and meaningful for the children at school, and that the children at home were able to practice healthy lifestyle with involvement of parents in following the program as health guidelines. A health education program on the prevention of obesity for children from 3-6 years old was developed by using Facebook to communicate with parents at home. The research design was based on a quasi-experiment with an intermittent time series design involving 70 (87.68 % response rate) children who had obtained parental permission to take part in the study. However, only 40 parents were directly involved during the whole program and 30 other parents had withdrawn from the study. This study was carried out after approval was obtained from the PPUKM community ethics committee (Project Code: GUP-301-2011). The health education program that was developed was then implemented through a one-hour session, three times a week (Tuesday, Wednesday and Thursday) for a period of 8 months. The two main issues that were the focus of this program were the components related to diet and physical activity. Various activities using the ‘children friendly’ approach were catered for during the implementation of the program in the pre-school centre. The program started with 5-10 minutes of health education, followed by 5 minutes of stretching and 30-45 minutes of aerobics for children or games (interchangeably, depending on the children’s choice) and ending with cooling down and deep breathing. The contents of the program including the notes and activities were uploaded into Facebook and the account was called Maziah’s MyObes. Facebook was the preferred online mode of communication with the parents and also used to obtain the active involvement of parents for the 8 months of the health education program. The 40 parents who had agreed to be involved in the study had received the teaching and learning notes, similar to the one the children used in school, at the end of each week, together with instructions for homework for the children at home. Parents reported on the children’s diet and physical activity at home either by sending a hardcopy (diary) or through a softcopy via a message to the mailbox in Facebook’s Maziah’s MyObes. Parental involvement was measured by the response frequency and feedback by the parents while interacting in Facebook’s Maziah’s MyObes. The instruments used in this study was a questionnaire adapted from the Centers for Disease Control (CDC) Growth Chart containing the indicator of BMI value for children following percentile and is guided by weight and height. Children’s BMI is calculated and is used as a guide for BMI screening in identifying possible weight problems among children. The other instrument used is the 24 Hours Diary Activity and 24 Hours Dietary Recall taken as a daily parents’ diary and used to obtain data reports or parents’ feedback about dietary patterns and physical activity patterns of children are present in the home. The reliability of the instruments has shown cronbach alpha value was 0.89. Accumulated data from questionnaires and diary (including photographs and notes from parents) before, during and after implementing the program, and weight and BMI indices of children were all analysed based on the research questions. The data were entered and analysed using descriptive statistics and Chi-square through the Statistical Package for Social Science (SPSS) version 13.00 software. The results show the total number of children and parents involved in this study. 40 (57.14 %) parents were consistently involved (continuously and actively) before the program started, after 4 months and after 8 months. Meanwhile, 30 parents (42.86 %) were not involved throughout the study but allowed their children to join in the Health Education program implemented by the pre-school. The total number of children involved in the study was 70, which is the combined total number of children with parental involvement and without parental involvement. Parents least involved with this study were parents with children aged 3-5 years (10.00 %), followed by parents of children aged 4 years (17.14 %) and the most number belonged to children aged 6 years (20.00 %) (Table 1). The findings show the difference between parental involvement and non-parental involvement and the eating patterns of children. Before the Health Education program was implemented the analysis showed that there was no significant difference between the group with parental involvement and non-parental involvement, whereby children on a balanced and healthy diet were 8.8 % compared to those with not such a diet (7.4 % with the value χ2 = 0.099, and p = 0.75). However, after 8 months of implementing the health education program, the findings showed significant differences between the group with parental involvement and the group with non-parental involvement, whereby the number of children on a balanced and healthy diet had increased (55.9 %) compared to the number children not on such a diet (13.3 %). The Chi square value (χ2) was also high after 8 months (30.487) and the p value was 0.00. This finding shows that the significant difference between a balanced and healthy diet and the group with parental involvement and without parental involvement after 8 months into the program. This also means that the parental involvement factor supports and motivates children to incorporate a healthy lifestyle into their daily routine by adopting a balanced and healthy diet besides maintaining a BMI index of less than the 85 percentile after 8 months into the Health Education program (Graph 1). The result shows the difference between the group with parental involvement and the group without parental involvement as well as the physical activity pattern of children. Before the Health Education program was implemented, the analysis showed no significant difference between the group with involvement and the group without involvement, whereby children who performed physical activities were 17.6 % compared to those who did not (8.8% with the value χ2 = 0.622, and p = 0.43). Then, after 8 months into the Health Education program, the findings showed significant differences between the group with parental involvement and the group without parental involvement, whereby the number of children performing physical activities had increased (58.8 %) compared to children who did not perform these activities (11.8 %). The Chi square (χ2) was also high after 8 months into the program at 40.476 with a ‘p’ value of 0.00. The findings prove significant differences between the group that performed physical activities and the group with and without parental involvement after the health Education program were implemented. This analysis shows that the parental involvement factor supports and motivates children to incorporate a healthy lifestyle in their daily routines by adopting structured physical activities and maintaining a BMI index of less than the 85 percentile after 8 months of following the Health Education program (Graph 2). The health education program developed by using a ‘children friendly’ approach and communicating easily with parents at home through Facebook in this study has contributed towards determining the awareness and the importance of active parental involvement which helps support learning and motivating children so that they adhere to a healthy lifestyle. This is done by maintaining a child’s BMI value of less than the 85 percentile and the practice of health related behaviours, which means a balanced and healthy diet and the practice of an active and wellplanned regime of physical activity among children, mainly when at home and as intended by this study. Indirectly, parents are an important component that could help and shape the diet and encourage healthy physical activity among children. 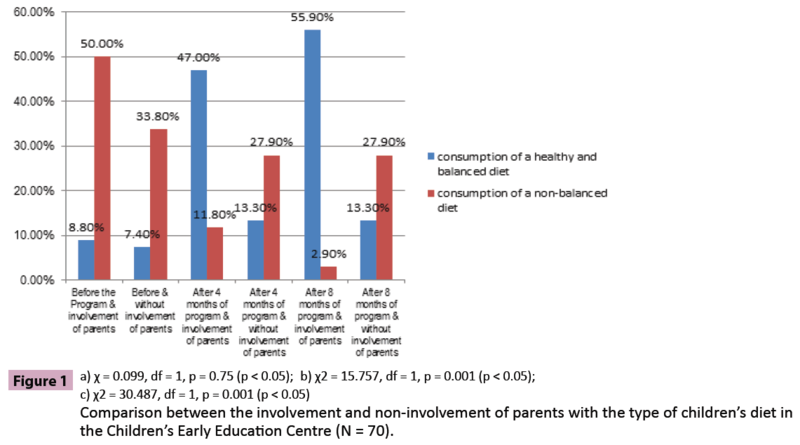 Figure 1: Comparison between the involvement and non-involvement of parents with the type of children’s diet in the Children’s Early Education Centre (N = 70). 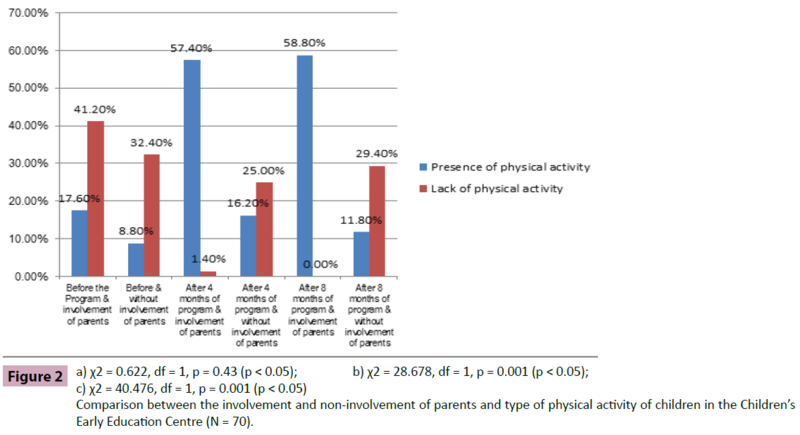 Figure 2: Comparison between the involvement and non-involvement of parents and type of physical activity of children in the Children’s Early Education Centre (N = 70). Even though various factors could become a strategy in forming the type of diet and physical activity of children; hence, parental involvement is the main issue in this study. In a glance, this study found that children in the group with parental involvement were able to maintain a BMI value of less than the 85 percentile compared to the group without parental involvement. This means that the health level and weight of the children are at the ‘healthy level’ when parents are involved actively in health programs. This finding supports the findings by Harvey-Berino and Rourke , which showed that children experience a decrease in body weight and energy consumption after the diet program and exercise regime with the involvement of parents was implemented. The findings were also similar to a study by Golan and Crow , which found that the decrease in the Mean value related to the percentage of excess body weight was more among children with parental involvement compared to those in the children’s group. This shows that the Health Education program implemented in the community should consider the active involvement of parents. It further showed that the important need for parental involvement is a strategy that has a relationship with healthy growth and health-related behaviour in children . Parents are the organization that frequently interacts around the life of the child and has an effect on the growth of the child. Thus, if encouraged and a better interactional relationship is built through parents’ actively involvement into the program, it will help children to growth well . The result of the study show that parents’ involvement in the health program indicates the family is interacted in educating their children on health practice . Parental involvement in this health program demonstrates the high level of interact among parents on the health of their children. Moreover, the parents had already received similar health knowledge which the children have learnt in preschool centre and was presented using Facebook, the most convenient way without the parents having to struggle to meet the preschool teachers. This is also one of the factors that may consider to have influenced the parents to be involved continuously from beginning to the end when the health program was implemented. Parents who are actively involved will also help to provide a healthy and balanced diet for children and indirectly encourage children to actively carry out physical activities when in the house as they know what the children have learnt in school. Children are usually eager to show their parents that they are too aware of the importance of health and will ask parents to provide healthy food to them. Usually parents will try to meet the demands of the children and will only reprimand if the child’s food choice is not healthy. The statement is parallel with the study by Dietz and Gortmaker  found that family meal times have the potential to influence food intake and children’s obesity levels. However, it cannot be denied that it is the main duty of health workers, especially school health nurses to promote health, such as promoting healthy living without obesity by providing prevention and awareness programs about practicing a healthy lifestyle for children. Hence, when children are outside their school, such as at home, the duty and responsibility of caring for the child’s health is changes to the responsibility of parents. This also supported by study Gillman et al.,  and Gable et al.,  found a significant positive relationship between the frequency of a family meal with a child’s dietary pattern and the percentage of obese children. Similarly with our findings indicate that there is a significant difference between a healthy and balanced diet with parental involvement and also a significant difference between performing physical activities and with parental involvement. Hence, these findings are parallel with the fact that ‘prevention of child obesity starts from the home’ . This means that parents should be involved in activities or programs on the prevention of child obesity. In addition, children still depend on other individuals about decisions pertaining to their daily lives . If preventive programs only involve children, then children would become aware of the need to care for their health but instead, the daily needs of children are cared for by their parents or guardians. Parents are actually responsible for providing meals for the whole family. Hence, this situation requires parents to follow the health education program in schools so that it creates awareness in parents and enables parents to acquire the same knowledge as the children about a healthy lifestyle. This is important because the intention facilitates the children when inculcating a healthy lifestyle into their daily routine. Findings from this study support this fact, which is the involvement of parents in health programs for children from ages 3 to 6 that would change the routine of children towards a health-related behaviour. The other issue is the parents’ demographic data e.g. per capita income in the household and level of education which was not encompassed in the results of this study. This might be questioned of why the parents’ demographic data is not emphasized in the study results. The researchers have to highlight that when the data was analysed, it did not show any relationship with the increasing level of awareness among parents on children’s health. During the implementation of health program, the researchers found that the active involvement of parents is highly influenced by method of the health program delivered to the parents. Hence the researchers presume the parents high awareness about children’s health emerged on its own and is not related with other demographic data. This is especially associated with parents who voluntarily wanted to participate and engage in ongoing health program. It was evident that if the parents lacked awareness about children’s health, parents do not want to get involved and do not want to cooperate with the health program being conducted. Most of the parents who are not involved will assume that their children were healthy. In fact parents are not aware that this health program is obesity prevention program for children and they should know that even healthy children should be involved too. This shows indirectly parents who are not involved are not aware and not understand the purpose of the program which is to educate children to stay healthy without obesity nowadays till adulthood [6,7]. This is because the children who received health education early with parental involvement may be able to practice healthy lifestyles from childhood. Again this study clearly emphasis on the importance of parental involvement as a strategy towards healthy growth and good behaviour among children. When parents are involved in the health program, it helps parents to play the role of a motivator and morale booster to help motivate the children to continuously adopt a healthy behaviour. Therefore, this study suggests that the health promotion program for children, such as the Health Education program in this study, should be implemented with the active involvement and awareness of parents. This is intended to ensure greater effectiveness on the present health and wellbeing of children and in the future. Besides that, it should be remembered that children’s daily lessons would influence their daily routine. This study also suggests that school health nurses should provide more attractive promotional programs regarding health transformation on a monthly basis for the children with parental involvement. This would ensure that motivation and awareness about health would come to exist in children and the children would then practice a healthy lifestyle as a daily routine. The study clearly shows the development of Health Education programs related to the prevention of obesity for children aged 3 – 6 years and the involvement of parents in this study has positively contributed to enhancing a healthy lifestyle among children. Children are the nation’s future assets that need to be safeguarded so that these children grow up to become individuals who are healthy, active, intelligent and be free from chronic diseases during their childhood and later in their adulthood. Thus, parental involvement is the main issue and could strategically contribute and influence healthy development and health-related behaviour of children with the intention to create awareness and enhance the children’s adherence to healthy practices. 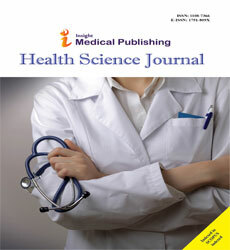 The study suggests that school health nurses provide more attractive promotional programs on health transformation on a weekly basis for the children with parental involvement so that motivation and awareness about health exists in children and they would practice a healthy lifestyle in the daily lives. M. Sharifuddin (2010), Malaysia country of obese people, Kosmo, November 16, 1-2. Whitaker RC, Wright JA, Pepe MS, Seidel KD, Dietz WH (1997) Predicting obesity in young adulthood from childhood and parental obesity.N Engl J Med 337: 869-873. I. Zulkifli, Concern for preschool children who had been obesity, Kuala Lumpur: Malaysian Pediatric Association, 2011. Manios Y, Costarelli V, Kolotourou M, Kondakis K, Tzavara C, et al. (2007) Prevalence of obesity in preschool Greek children, in relation to parental characteristics and region of residence.BMC Public Health 7: 178. Burdette HL, Whitaker RC (2005) A national study of neighborhood safety, outdoor play, television viewing, and obesity in preschool children.Pediatrics 116: 657-662. Chee SS, Ismail MN, Ng KK, Zawiah H (1997) Food intake assessment of adults in rural and urban areas from four selected regions in Malaysia. Mal J Nutr 3: 91-102. Martorell R, Kettel Khan L, Hughes ML, Grummer-Strawn LM (2000) Overweight and obesity in preschool children from developing countries.Int J ObesRelatMetabDisord 24: 959-967. Must A (1996) Morbidity and mortality associated with elevated body weight in children and adolescents.Am J Clin Nutr 63: 445S-447S. BuletinKesihatan (2010) Dinner culture causes of obesity. S. SitiZarinah (2007)A healthy diet to avoid diseases, The new straits times press (m) berhad, December 2. E-Media. M. Nor Amirah (2013) Tips to prevent obesity in children. Taveras EM, LaPelle N, Gupta RS, Finkelstein JA (2006) Planning for health promotion in low-income preschool child care settings: focus groups of parents and child care providers.AmbulPediatr 6: 342-346. Lumeng JC, Rahnama S, Appugliese D, Kaciroti N, Bradley RH (2006) Television exposure and overweight risk in preschoolers.Arch PediatrAdolesc Med 160: 417-422. Lee LL, Kuo YC, Fanaw D, Perng SJ, Juang IF (2012) The effect of an intervention combining self-efficacy theory and pedometers on promoting physical activity among adolescents.J Clin Nurs 21: 914-922. Maher EJ, Li G, Carter L, Johnson DB (2008) Preschool child care participation and obesity at the start of kindergarten.Pediatrics 122: 322-330. Harvey-Berino J, Rourke J (2003) Obesity prevention in preschool native-american children: a pilot study using home visiting.Obes Res 11: 606-611. Golan M, Crow S (2004) Targeting parents exclusively in the treatment of childhood obesity: long-term results.Obes Res 12: 357-361. Gillman MW, Rifas-Shiman SL, Frazier AL, Rockett HR, Camargo CA Jr, et al. (2000) Family dinner and diet quality among older children and adolescents.Arch Fam Med 9: 235-240. Gable S, Chang Y, Krull JL (2007) Television watching and frequency of family meals are predictive of overweight onset and persistence in a national sample of school-aged children.J Am Diet Assoc 107: 53-61. Dietz WH, Gortmaker SL (2001) Preventing obesity in children and adolescents.Annu Rev Public Health 22: 337-353. Norly J (2010) Children intermediate and final: Identification and definition of children. Bronfenbrenner U (1994) Interacting systems in human development: Research paradigms, present and future. In: Bolger N, Caspi A, Downey G, Moorehouse M (eds), Persons in context: Development process. Cambridge University Press, Cambridge, UK.